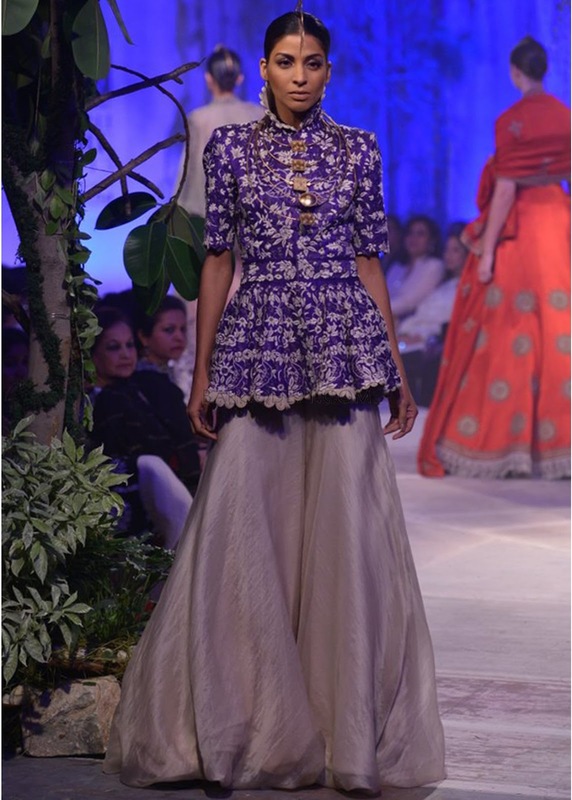 Ace designer Anamika Khanna Showcased her couture collection at PCJ Delhi Couture Week 2013 and I simply love Anamika Khanna’s collection. I adore her modern take on Indian attire. She is simply creative and there is a vibe of sobriety in her collection. All her clothes have a celebratory persona. 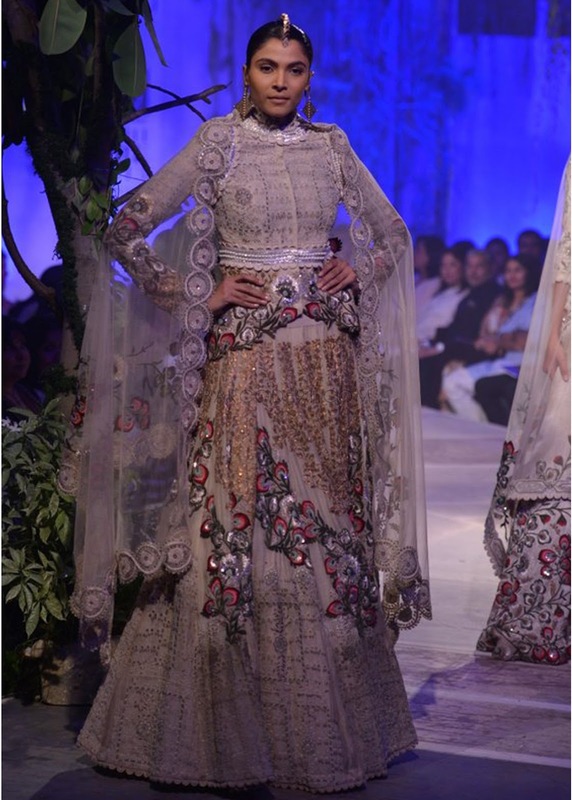 This time she gave us some amazing lace tops paired with Shararas and Ghararas. 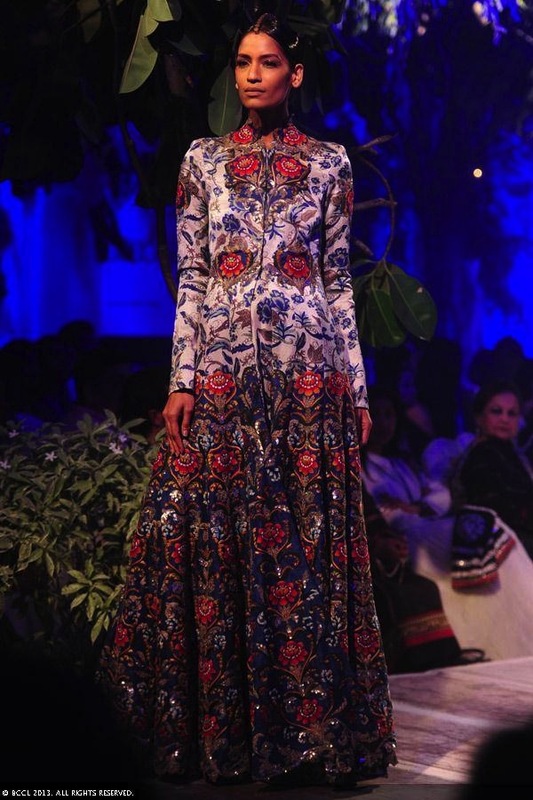 Every piece of her collection was a treat to watch and I would love to own every single piece she showcased J. 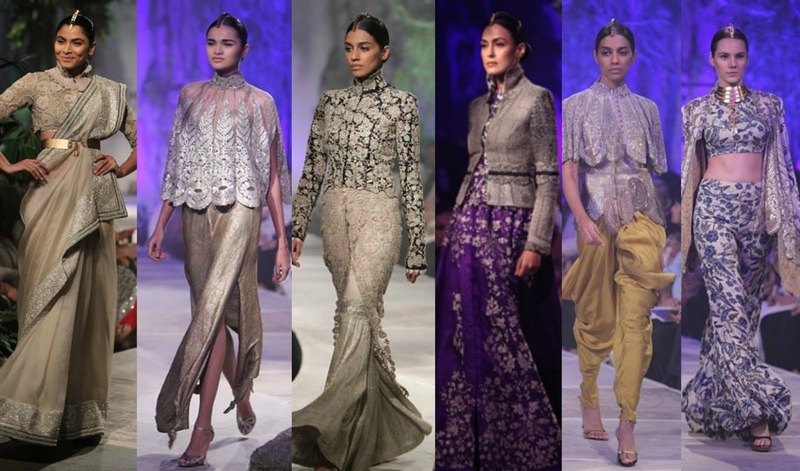 Everything was just outstanding be it the chikankari, the way the sarees were draped, the jackets, the mang tikkas…and the list go on and on and on :-). 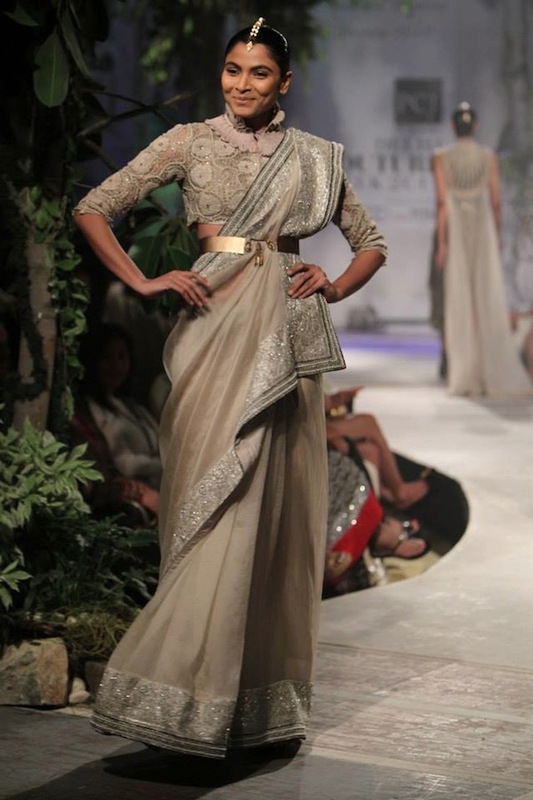 Best Yellow Sari Designs And Inspirations You Will Love!